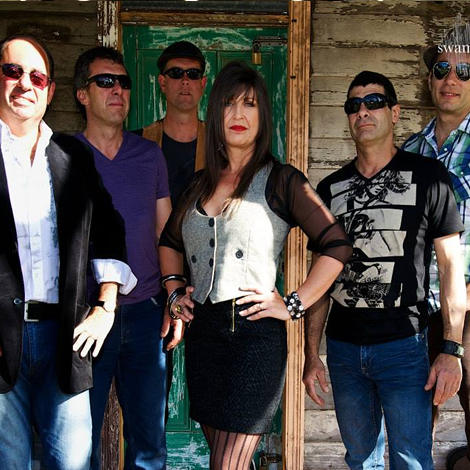 A versatile, energetic covers band will have you grooving on the dance floor with their eclectic mix of rock 'n' roll. The Shedmasters Band are a versatile and energetic rock band that will have you tapping your toes and grooving on the dance floor with their eclectic mix of ‘Shedrock’. These seasoned showbiz vets love what they do and it shows as they take their audience with them for the ride of their lives, playing a mix of classic Aussie and international rock tunes from the 60’s and 70’s through to today. The superb mix of female and male vocals delivers hit after hit of classic rock favourites that drive the audience with an almost primal urge to the dance floor. You just can’t help yourself but party! The Shedmasters Band is committed to the celebration of music, playing with passion and heart and delivering an outstanding performance in their own ‘Sheddies’ style. Their winning combination of vocals and energetic performances has won audiences throughout Newcastle and The Hunter region. Certainly, a band you cannot miss.